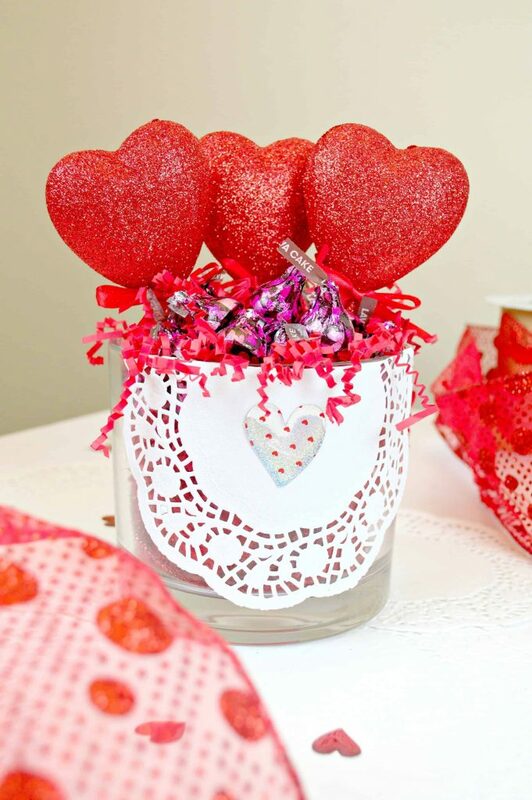 This super simple DIY Valentine’s Day candy dish makes the perfect gift to fill with your loved one’s favorite candy! 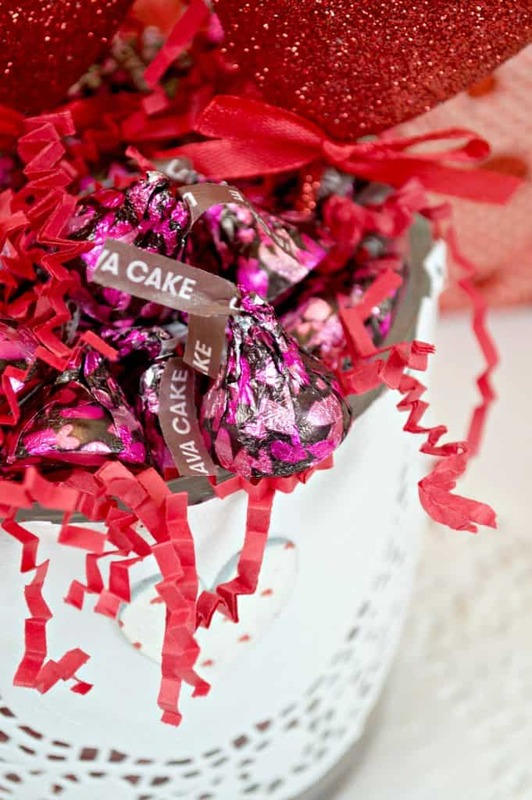 Gift this DIY candy dish to family, friends, or even teachers! 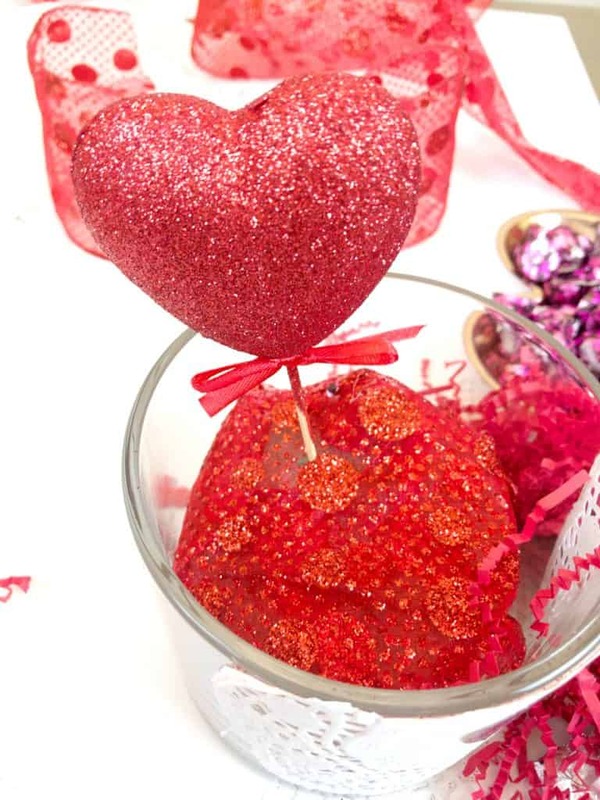 DIY gifts are perfect for Valentine’s Day They’re more thoughtful and there are so many ways to get creative. This year, I plan on gifting Robert’s teacher a really easy to make DIY candy dish that she can place on her desk as a reminder of how much we value and appreciate her hard work with the kids. 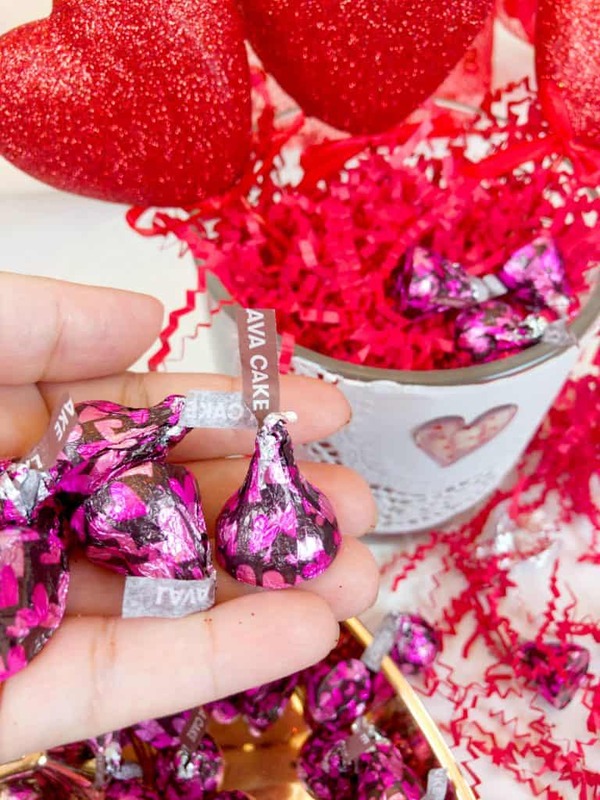 For an extra sweet touch, I’ll also be filling the candy dish with NEW HERSHEY® Lava Cake KISSES chocolates, made with real HERSHEY® rich, creamy chocolate. 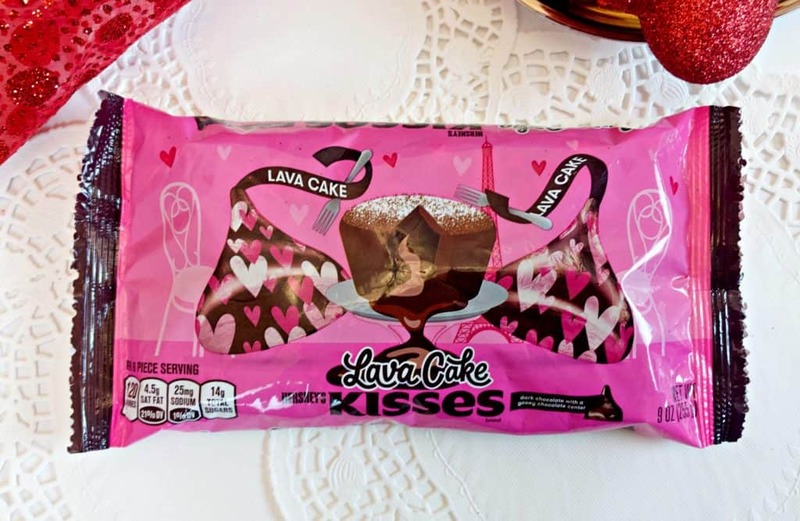 HERSHEY® Lava Cake KISSES chocolates, which you can find at Walmart, instantly speak for themselves as symbols of caring and are great to share with friends and family! These delicious chocolates come in their iconic packages that are a symbol of affection that make it easy to show others I care. I found everything I needed at Walmart, the perfect one-stop shop for all things Valentine’s Day! 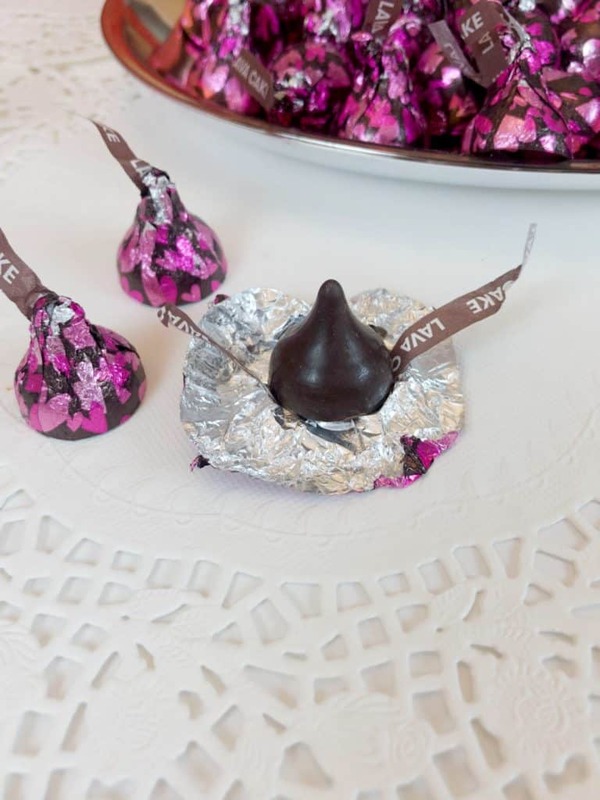 This DIY candy dish is easy to make and can also be used as a centerpiece! 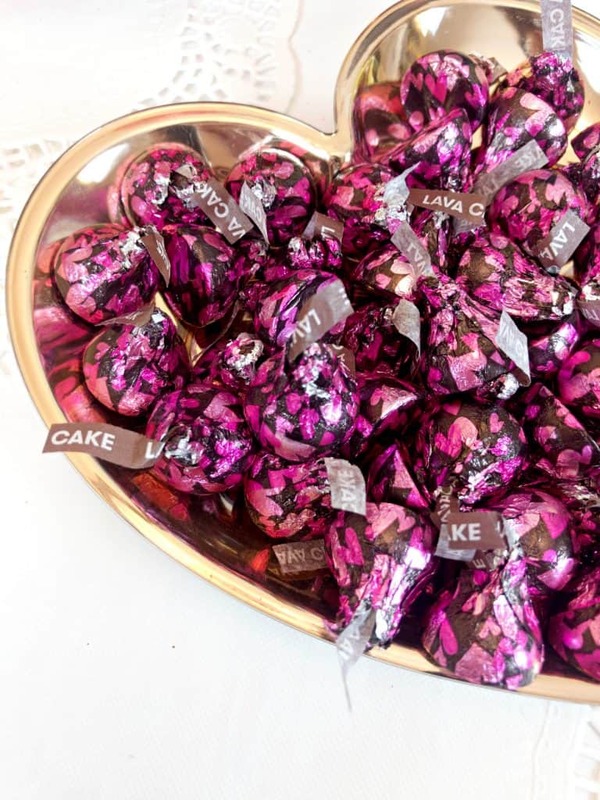 The attention to detail in these NEW HERSHEY® Lava Cake KISSES chocolates look so pretty when they are set out in the simple candy dish! 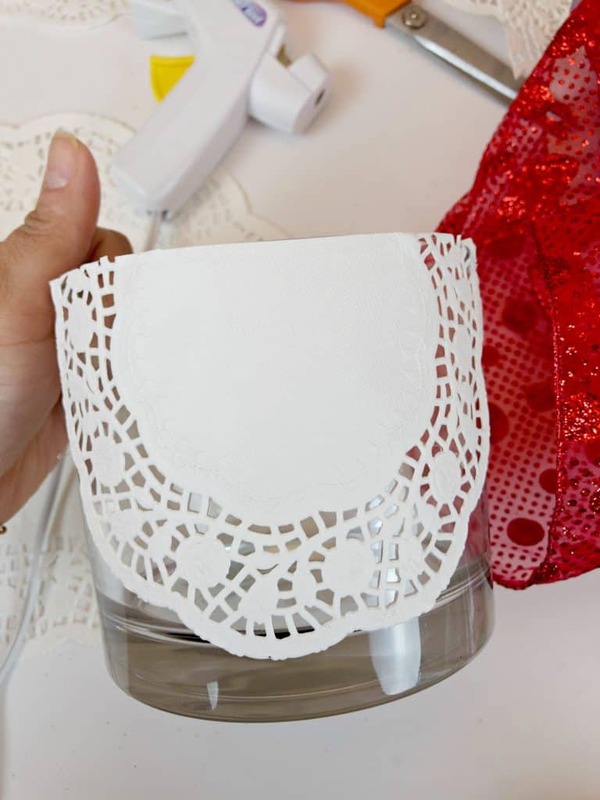 Measure doily across the rim of vase. Fold and cut. 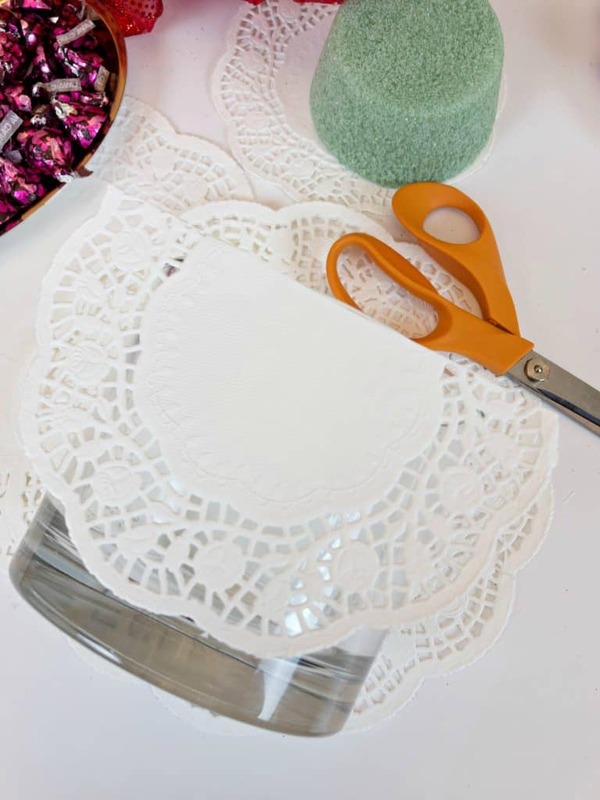 Glue doily on and allow to dry. 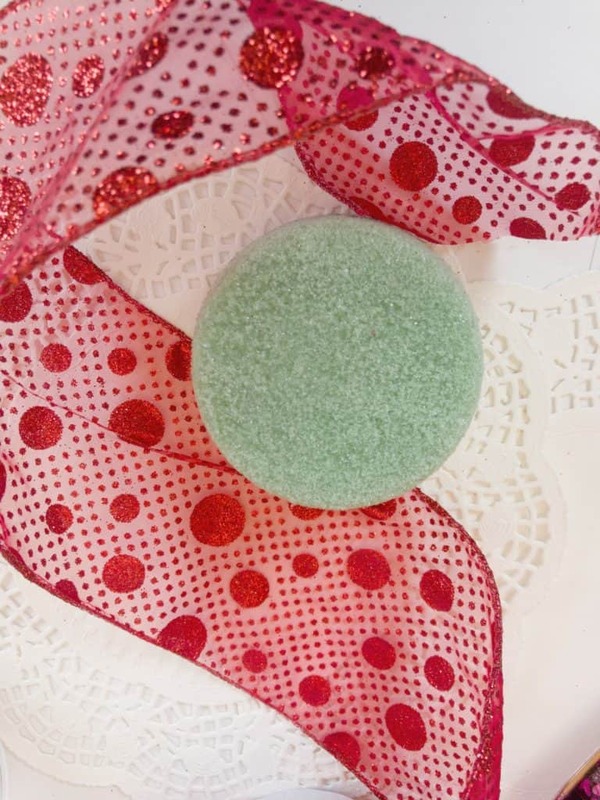 Wrap foam in tulle or fabric and secure with a rubber band. Poke hearts into the foam and fill the vase with shredded paper. 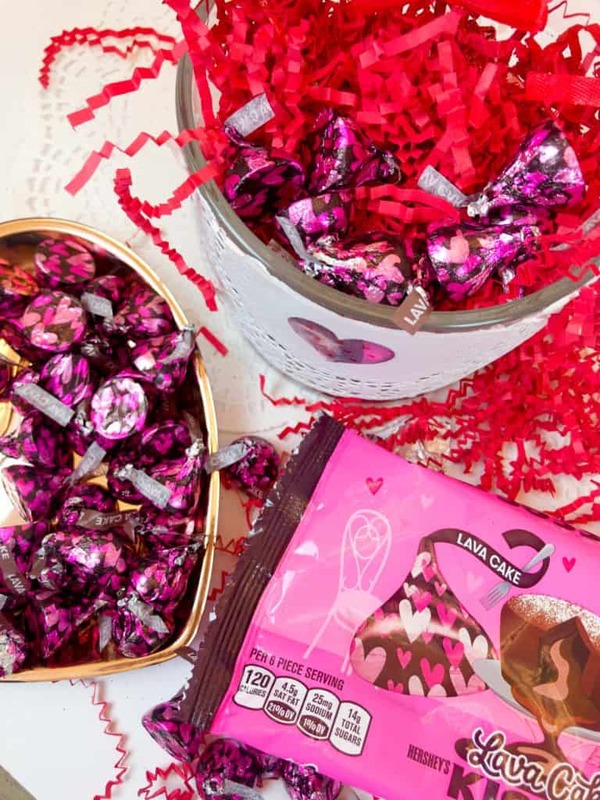 Fill with Fill with HERSHEY® Lava Cake KISSES and enjoy.